From the pen of Steve Moore (DR. WHO; JONNI FUTURE) comes a tale of Hercules in his darkest hours. When the Thracian King summons the Greek hero and his six battle-worn companions to mold the Thracian army into a bloodthirsty, ruthless killing machine, the Son of Zeus rushes to answer the call of war and gold. 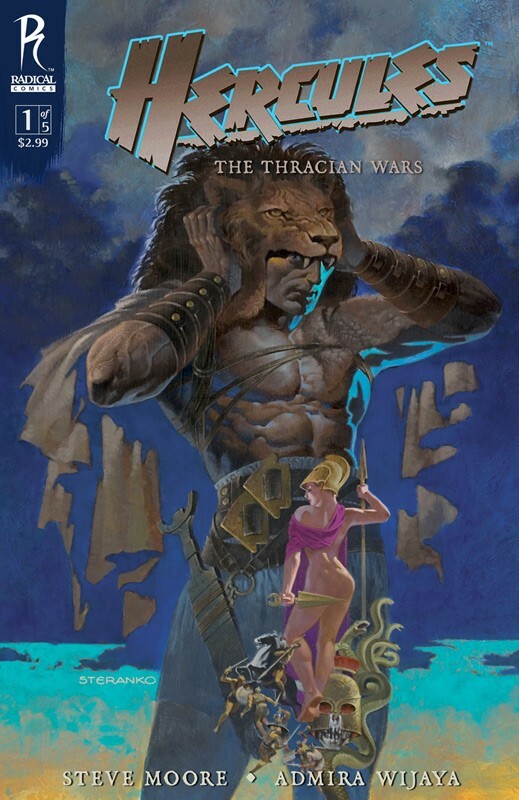 But within the nation of Thrace lies an epic tale of war, murder, deception, and sacrifice that shows Hercules how far from grace he’s fallen- and what he must do to earn redemption.